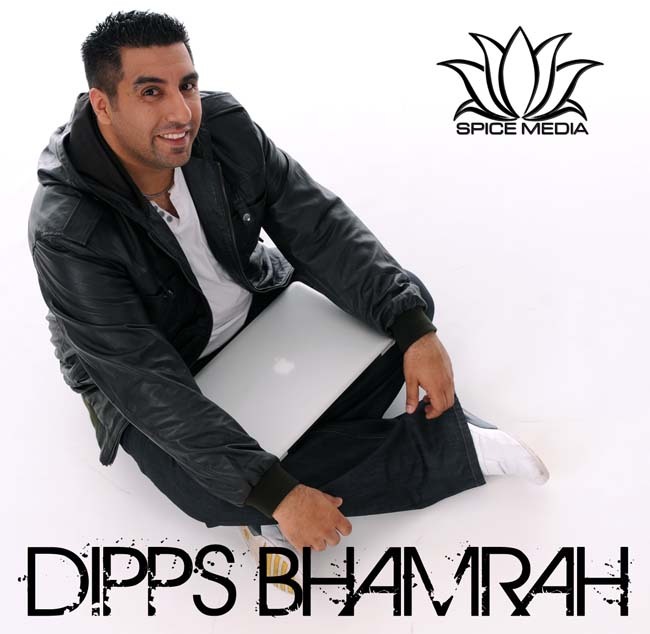 If you are a Bhangra fanatic you are bound to have heard of Dipps Bhamrah. Besides being a Liverpool Footbal Club fan (yaayyy!! YNWA) Dipps is a producer, a presenter with the BBC Asian Network in the United Kingdom, a DJ, a host, amongst many other talents. I’ve been listening to Dipps Bhamrah on The Asian Network every Sunday on Bhangra Breakdown which gives us 2 hours of fantastic Bhangra tracks, interviews, what’s hot and what’s not, and all this served on a platter with Dipps’ inimitable style and panache. His sense of humour is fantastic and his presentation style is oh-so-unique. It’s no wonder he has a huge fan following all over the world and I can testify to this because I listen to him every Sunday! Not too long ago Dipps unleashed his first ever single Mr Makhna featuring KS Bhamrah. Yes… his Dad! The track is awesome, catchy and danceable. It appeals not only to the Uncles and Aunties on the dancefloor but the entire family all around. The video is fantastic with no half naked women with bottles of booze all over the place. I’ve always wondered what message such videos are giving to our youth anyway! Mr Makhna has enjoyed great success, love and adulation from fans all over the world, the new ones and the die-hard ones and now Dipps Bhamrah is giving YOU the chance to do something with this track. Yep… that’s right. If you feel you have the know-how and talent, if you feel you want to make your mark with your skills then read on and see how you can be part of this fabulous project launched by Dipps Bhamrah himself. Good luck!! The second album from Dipps Bhamrah entitled ‘Project: BHANGRA’ is set for release later this year, with Spice Media, which has been in production in little under a year. The album features work from Bhangra legends, newcomers and Dipps has decided to open his album up to more unsigned and potential Bhangra acts. In a first for Bhangra music, Dipps Bhamrah is offering an opportunity to budding unsigned and undiscovered music producers to produce a remix of the track ‘Mr Makhna’ with one successful remix being given an official release on the album Project: BHANGRA in 2011. In presenting this unique opportunity Dipps explains what lead him to this idea. Dipps goes on to say why he is offering such a positive platform to new talents. 4. Once completed, the remix is to be submitted to info@dippsbhamrah.com in either wav format or minimum 224kbit/s mp3 file. Any entries submitted after 12pm on Sunday 31st July 2011 will be be taken into consideration. 🧁 Set of four handmade birthday cards Kshs 1,500 Three sets available immediately. Free delivery within Nairobi.